These days more and more picture based blogs are trending in the blogosphere. This might be because of the rapid growth in the popularity of Pinterest (Worlds first online Pin Board). Keeping things aside Pictures do add life to a dull content. Moreover, it allows us to learn new things that are too difficult to understand. On the other hand, Picture Blog and Social Media have a splendid relationship because people love to share images with their friends, family and colleagues. Therefore, for each and every Image based site it is essential to integrate foremost Social sharing plugin to maximize their social exposure. We do have a Floating Social Sharing widget, but it cannot be utilized on a blog that only host images. For that reason, our team has assembled an “Image Hover Social Plugin” which will allow your visitors to share your content while hovering over images. How Social Image Hover Works? Before we jump on to the tutorial, let’s first learn how this thing works. All of us insert multiple images on our website so this widget will add a Social Hover to our images. This will display social sharing icons that can only be accessed if someone hovers over your images. It also has a Close button, removed the hover from the images. However, it will come back if the page is refreshed again. The following animated screenshot exactly shows how this thing works. This tutorial is not that much tricky. All you need to do is to follow the steps mentioned below, and you would be able to handle things pretty handsomely. Go To Blogger.com >> Template. Then select Edit HTML >> Proceed. Now with the help of CTRL+S search for ]]></b:skin> within your template and above it paste the following code. Once again within your template search for </head> and just above it paste the Following Jquery coding. After pasting all of the above coding, Save your template by pressing Save Template button. Now finally, the most fascinating part of the whole tutorial and that, is adding Hover on specific Images. Remember: The Following method will also work flawlessly on WordPress Blogs so feel free to try your luck. Follow the following instructions. Go To Blogger.com >> Add New Post. Then Go To the HTML TAB of your post and Paste the Following HTML Code. Upload Any Image that you Like and Copy its URL. Tip: Press Right clicks on Image and Select “Copy Image URL”. Now Replace Your-Image-URL-Here with your image URL. Then adjust the Width by replacing 634px according to your need. Also adjust the Height by replacing 302px accordinly. Done, go a head and publish your post. class="tc-hover pin share tweet plus linkedin reddit digg flickr dribbble close"
This Social Image Hover is built with Pure HTML and CSS, so those readers who are not using Blogger, or they have recently migrated to WordPress can make use of this ultimate widget. It’s been a phenomenal week so far in terms of achievement and Readership. 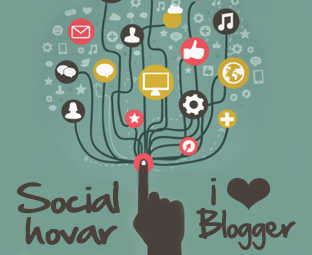 We will be sharing some remarkable blogger tweaks and widget so stay tuned. If you have any difficulty while adding this widget then feel free to leave a comment. Take a lot care of your love ones till then peace, blessings and happy hovering. I applied it on my blog it gives a professional look to my blog..
Nice Post Brother Keep Writting. Why JQuery, you can do this with CSS. Now with the help of CTRL+S search for ]]> within your template and above it paste the following code. Thanks for all those efforts, but AddThis made it so handy..
BTW: They Don't have the Close Button! Sometime user might get annoyed of this Hover. May be they will update it sooner. Hi, Great and easy to use plug in.. Is it possible to get it to share the image as opposed to the page it's attached to? I'm looking to use it in a gallery so that the viewers can share a picture from the site on social media... Yes I still need a link back to the page (responsive website...not a blog or wordpress I'm afraid) but the image needs to be present to catch others eyes.... As we all know a picture is worth a thousand words.... Or have I done something wrong and it does that already? ?